As the end of summer approaches I am trying to use up all my fresh tomatoes. 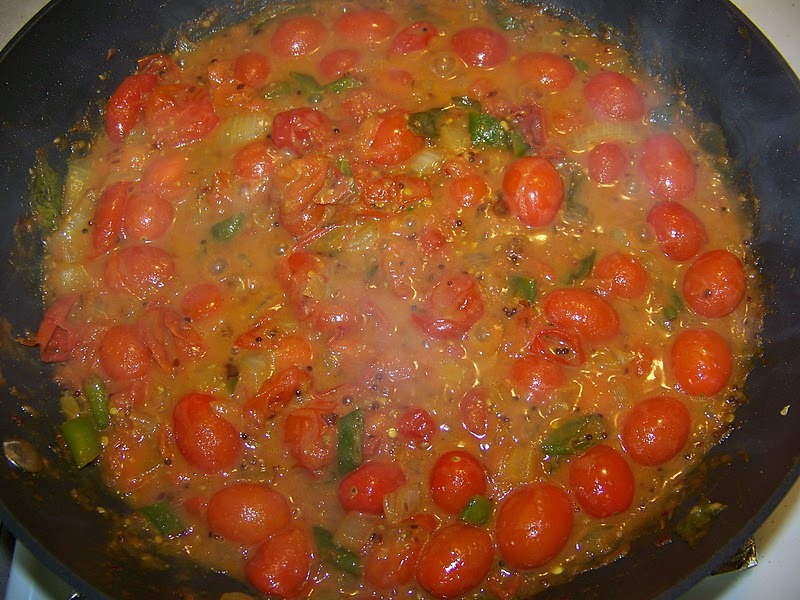 I decided to make this quick tomato chutney to eat with our rice and curry lunch. This chutney is spicy, sweet and savory. 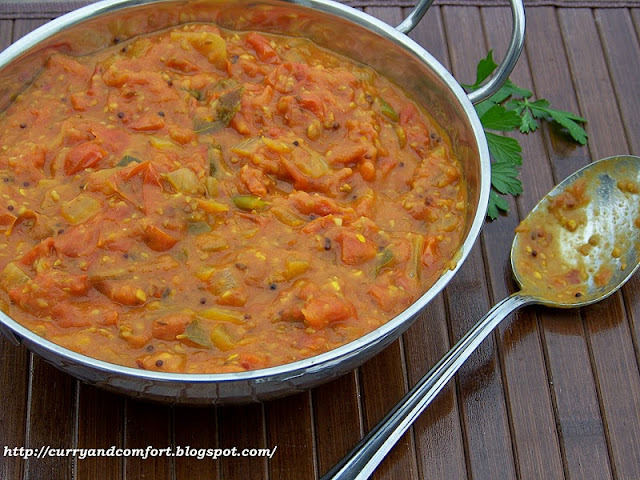 It has a great balance of flavors and goes well with any Sri Lankan, Indian style meal or roast meats. Note: I gave a range for the sugar because it depends on the sweetness of your tomatoes. Add only 1tsp of sugar first and adjust accordingly. In a large pan, heat 1Tbs of canola oil on medium high heat. 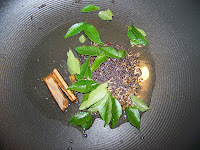 When heated, add your cinnamon, curry leaves, mustard seeds and cumin seeds. 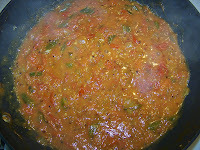 Allow to sizzle for 30-45 seconds without burning. 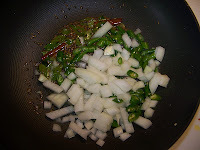 Next add your onions, garlic, ginger and green chilies. Saute for 2 minutes. Then add your tomatoes. 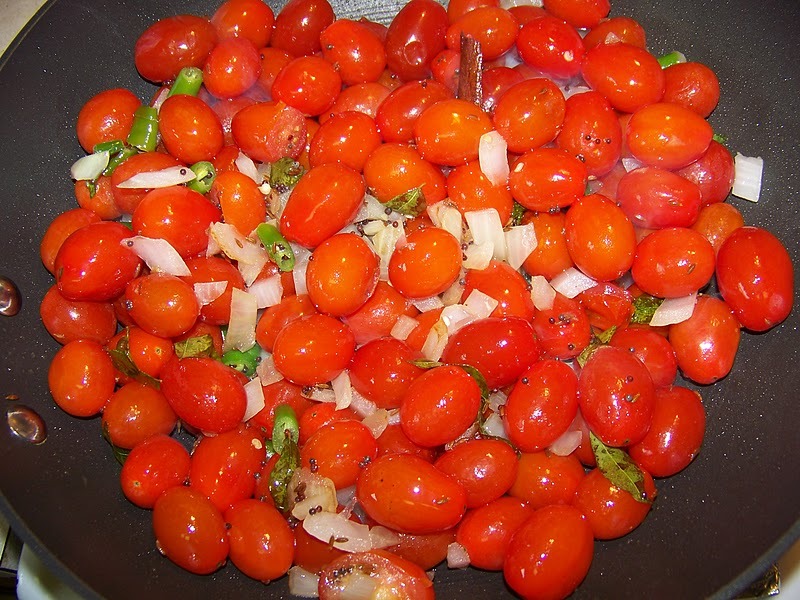 If you use grape or cherry tomatoes in this dish you can cut them or leave them whole. Once they start cooking you will need to gently mash them with your spoon and "pop" them so they can break down. Next add your ground spices, vinegar, fish or soy sauce. 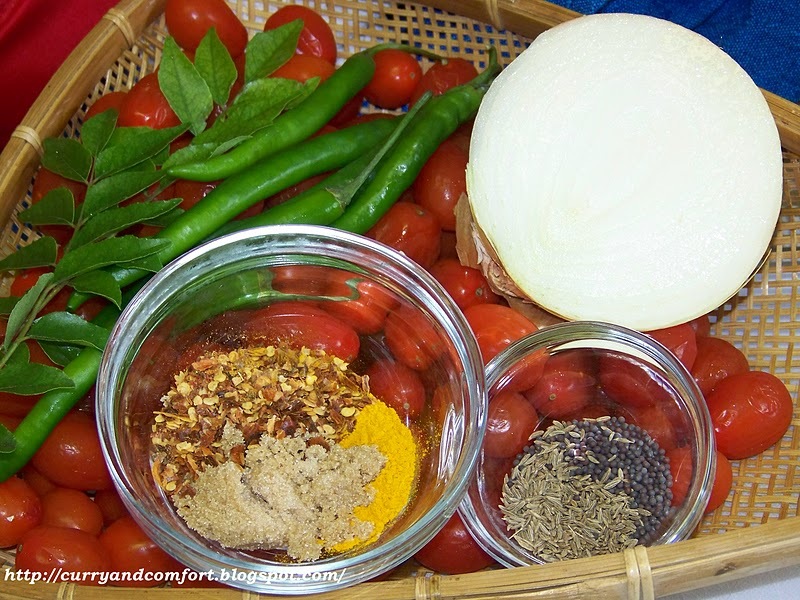 The fish or soy sauce will give you some salt flavor, but you can also add salt as needed. 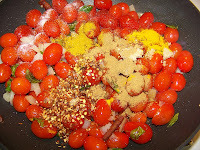 Allow the tomatoes and spices to simmer for 15-20 minutes. Stir as necessary. 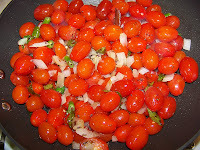 You want your tomatoes to break down and create the "jam" like chutney. When the tomatoes have broken down you can do a final taste for seasoning. If you have a good balance of salt, sweet and sour the chutney is done. You can eat this chutney warm, at room temperature or even cold. Store in an air tight container and it should be good for about a week. And is there anything better than the simmered tomato that goes pop? :) I wish we still had some tomatoes so I could make this. I'm going to save it for next summer! 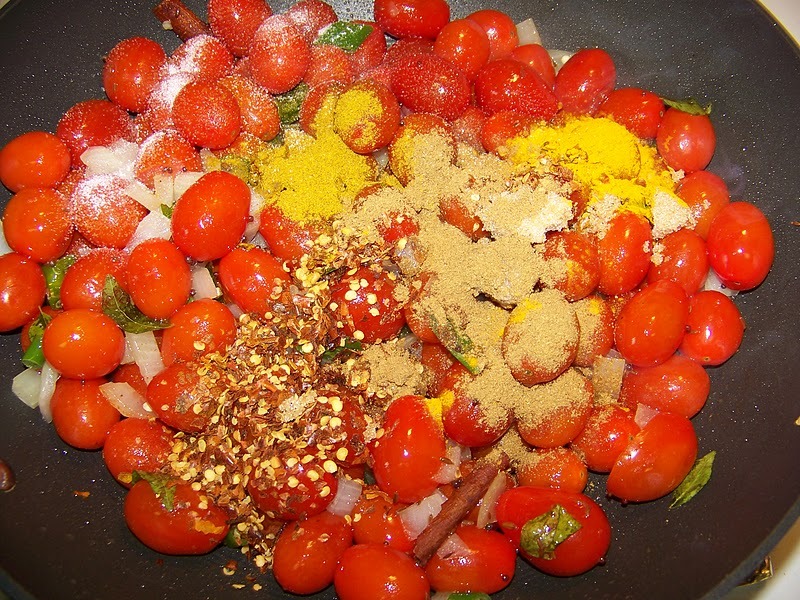 This chutney looks really delicious! I can just imagine how good this must smell while it's cooking! How many ways I can think of to use this! 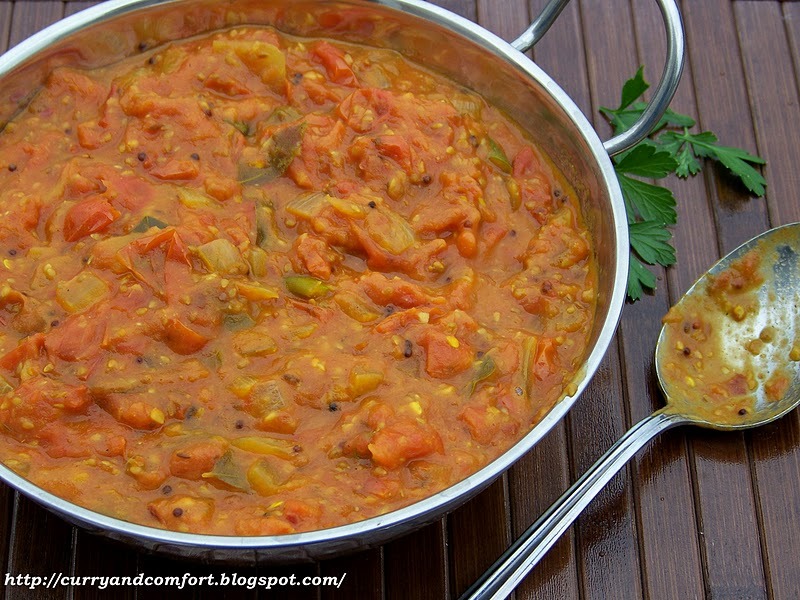 How amazing to know that there are atleast a dozen kinds of tomato chutney itself in India. 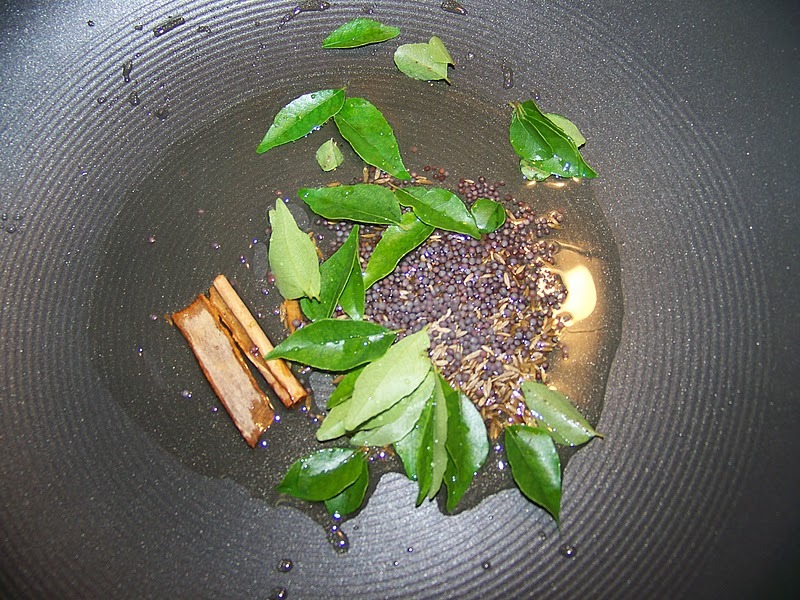 Loved this Konkani-style chutney with curry leaves and cinnammon. I love this twist on tomato sauce. I've got most of these ingredients, so this one I must try soon. Thanks! Oh, I could just sit with the pan and a spoon! I'd turn off my cell phone and dig in! This looks amazing! Buzzed! The picture says it all, a big bowl of chutney and a spoon. All for me!! I am a newbie! Please identify the 'GREEN CHILIES' by name! That would help me a lot! Thank you! Green chilies can be what ever green chili you pick since they come in different heat levels. If you want it very spicy pick serrano chilies, medium spicy jalapeno chilies and no spice bell peppers. 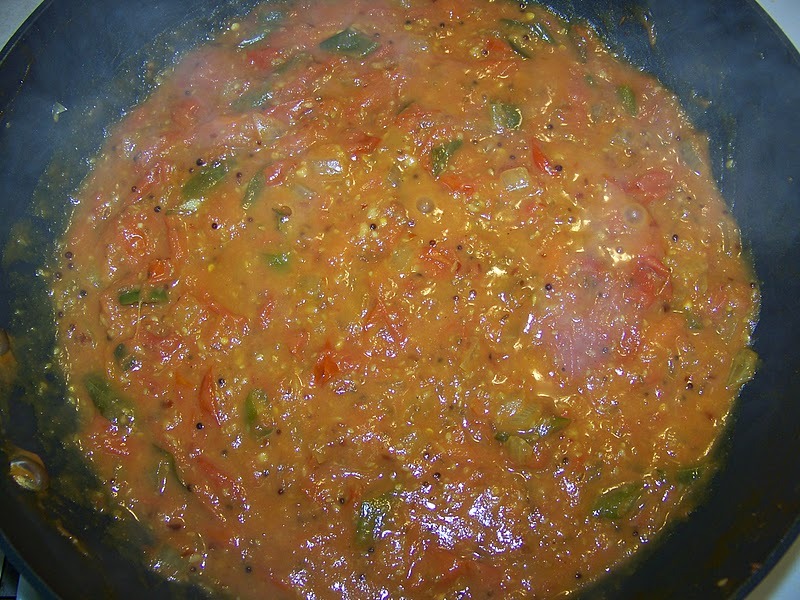 Hi, i love the sound of this chutney, can you tell me how long can i keep this for.Thanks for the blog…….